This delicious smoothie (Sorbet) is packed with Vitamin C. Just one serving contains over 50% of your daily needs. Vitamin C gives your skin that healthy glow and helps to prevent aging. Just blend all 4 ingredients in a blender or VitaMix. 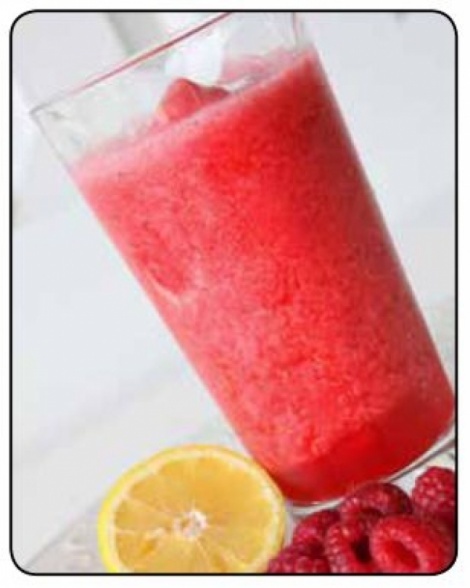 Serve as is for a refreshing smoothie or place in the freezer for a firmer, sorbet-type of consistency. 1 SERVING. 8 Grams of fiber per serving.